Regarded as France’s greatest contribution to the footballing world by many, Thierry Henry was born on 17th August 1977 in Les Ulis. The record goal scorer for both his country and English club Arsenal, the striker went down as one of the most entertaining players in the Premier League's history. A perfect combination of power and pace, Henry was a delight to watch with his array of skills. Footballing days started early for the prodigy who joined local club Les Ulis’s junior team at the age of 6. After playing for fourth tier team, Viry-Châtillon, he was selected to train in one of France's best academics, Clairefontaine at the age of 14. There, he was discovered by then Monaco manager, Arsene Wenger. Thierry Henry made his professional debut for Monaco at the age of 17 in a 2-0 loss against Nice in 1994. He quickly rose through ranks and was regularly starting games for the team in the next season. In 1996, Henry was chosen as the French young footballer of the year and the 1996-97 season saw him carrying his team to the Ligue 1 title. The next season, he netted 7 goals to secure a place in the Champions league semi finals for his team. Quite unknown before the 1998 FIFA World Cup, however Henry played a key role in his country's World Cup win. He was the French top scorer with three goals and was made Chevalier of the Legion d’honneur, France's highest decoration. Following the World Cup, Henry left Monaco in 1999 and moved to Italian club Juventus for 10.5 million pounds. Playing in a position uncharacteristic for him, Henry struggled and managed to score only 3 goals in 16 appearances. Consequently, he moved again to reunite with former manager Wenger, who was now the Manager at Arsenal. It was at Arsenal that Henry was moulded into a World Class player. Thierry Henry arrived at Arsenal at the age of 22 and went back 8 years later, as the club's top goal scorer of all time. His first two seasons saw Arsenal finishing as the runners up but success finally came in the 2001-2002 season, When Arsenal finished at the top of the table and won the FA Cup too. Henry was the top scorer in the League and scorer 32 goals across all competitions. Gunners won the League again in the 2003-2004 season, but this time they went undefeated and Henry claimed the European golden boot. Although Arsenal could not defend its title in the 2004-2005 season, Henry maintained his reputation of Europe's most feared striker by bagging the golden boot again. He is the only player to have won the award twice in a row. 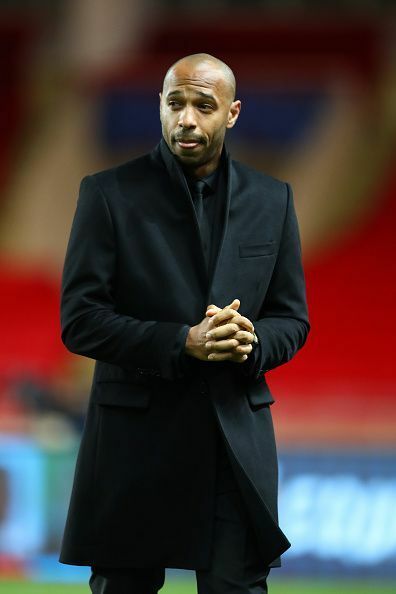 Henry spent the last two seasons as the Gunners’ captain, but couldn't carry his team to the League titles. This prompted his move to Barcelona in 2007 for 24 Million Euros. Although he couldn't reproduce the goal-scoring form with Arsenal, Henry was still the club's top scorer in the first season. The next season Barcelona recorded a treble, winning La Liga, Copa del Rey and the Champions league. By the 2010 session however, Henry was losing his touch which resulted in his transfer to MLS team, New York Red Bulls, where he ended his career four and a half years later. Henry's international presence was no less prolific. After winning the World Cup in 1998, Henry carried France to a victory in the 2000 UEFA European Football Championship and the 2003 FIFA Federations Cup. Henry played a major role in his country's path to the 2006 World Cup final, but France lost to Italy in penalties. Henry ended his international goal tally with a whopping 51 goals, the highest ever for France. Henry announced his retirement from professional football in 2014. He currently works as the assistant manager for the Belgium football team.